There was time, decades ago, when I was trying to determine whether or not to go to graduate school. I was either going to study communications as a social science or I was going to seminary. Don't laugh. I was broke, and I wasn't interested in debt, so I went to work instead. A lot of young people are staying in school longer these days because the job market is so lousy. 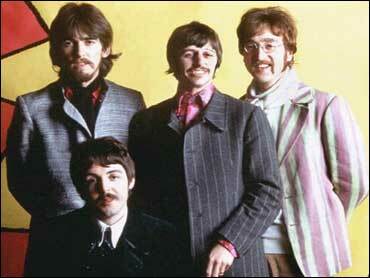 So comes news this week that a university in Liverpool, England is now offering a masters degree in The Beatles. Just imagine the thesis topics: "Ringo, merely a drummer"; "John Lennon's glasses, the view of a genius"; Or "Paul is dead, no he's not." The Fab Four did have a dramatic effect on culture. And, if you talk to Beatles fans, their music is said to be life-altering. I know several people who spent at least two years lost in the "White Album". Then there's the sad few who never made it past "Rubber Soul". A Beatles scholar I'm not, but I do know what I'd call my thesis: "Help."